In about 2 months from now, that's the plan, there will a new fragrance coming. I decided that I want to share some details before it goes live. Like: once a week I want to talk about one aspect of the fragrance and what it means to bring it to you. I guess I will do so on Mondays.... Anyhow. 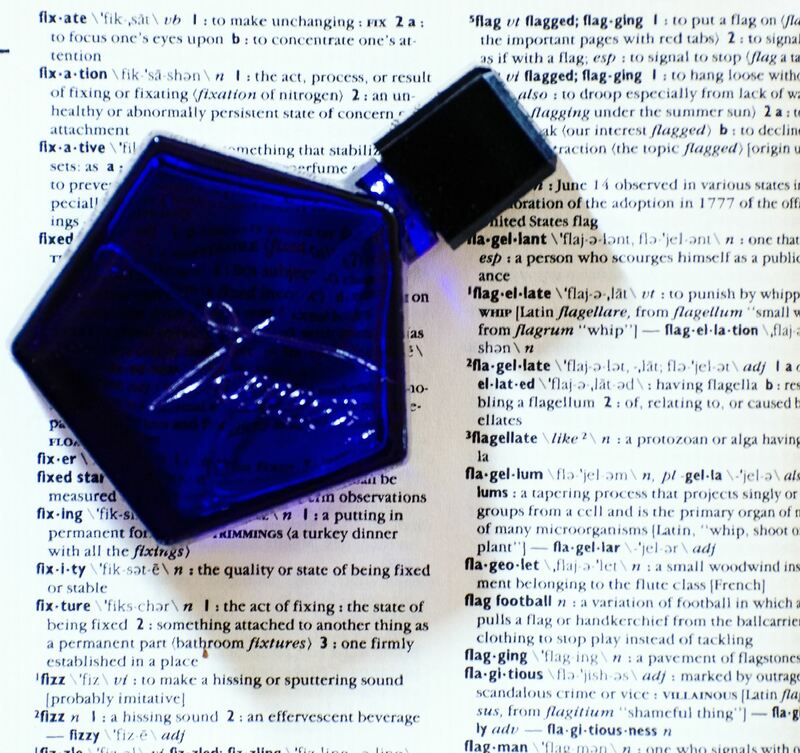 The news for today: I am filling the new fragrance into blue pentagonal bottles. And I have one bottle set aside, for me. My SOTD is unreleased. finally, we are all, hopefully happily, landed in 2018. Me, too. And as every year, I use the transition from old to new year to clean my desk and make room for myself. It usually lasts a few days only until paper and perfume bottles start covering it again. On top of it sits a paper strip. It sits next to my surface labtop and every day, I am smelling it and see how it develops and lasts. This one lasts pretty long. That's good. It is an experimental fragrance. But the formula, in excel, will soon go to my supplier of raw materials. I mentioned it earlier in one my MAG issues: these days I cannot produce all fragrances myself anymore. It is too much volume that I am producing and putting out. Thus, the formula for this guy will go to my producer in Switzerland. There, it will be checked for compliance with IFRA and EU regulations. 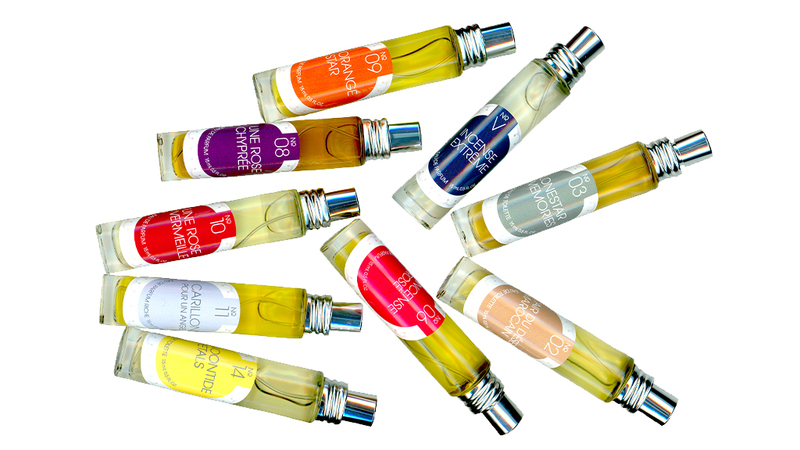 As I use all raw materials from this supplier, the quality of the fragrance will not be an issue to worry about for me. In this particular scent, however, I am using a speciality that I will provide my supplier with. I haven't tested the fragrance only as concentrate of course. I diluted it in an edp concentration (12.5%) to test drive it. When composing a fragrance, I usually know beforehand to what concentration I want to dilute it. And usually, but not always, it works. Like here with this guy. I am trying to convince the producer of the speciality raw material to write for me in the next MAG, issue 05. Fingers crossed. It would be so cool (I cannot tell you what or who.....). I guess, the bottomline of this post is: I am planning an new MAG issue for May 2018. 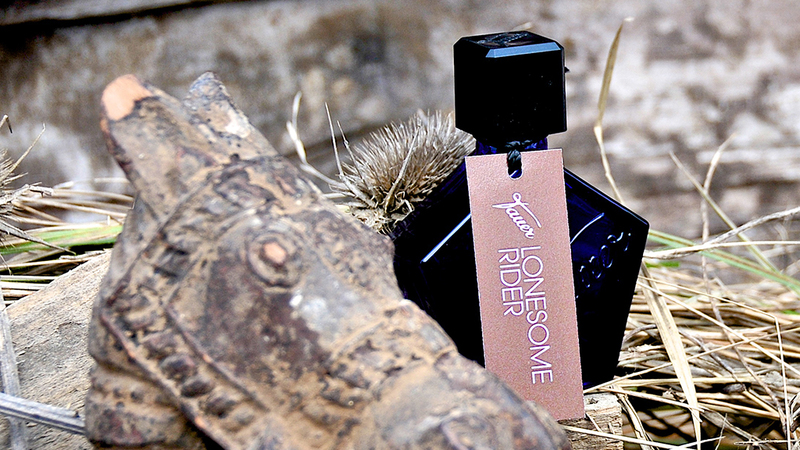 And the perfume in the bottle on today's picture will play a role. What a nice way to start 2018. How does it work, the perfume creation process? So I got this question on Facebook (about perfume creation): "How does that work anyway? What's your process? Like do you just experiment, or have something in mind or what? And I figured: Time to tell, in a short post, as these days things get very confusing in (niche) perfumery. See today's picture: A photo of an email that I got, one of many that reach me more or less daily. Chinese perfume production services, one stop "get it all" from one party, with production and all. More and more perfume production goes there, to China. The way I work is somewhat different. Usually - in order to answer the question above- I start with an idea that is pretty abstract or an idea that can best be described by a picture or I start with a central ingredient theme, feeling inspired by a particular ingredient. What I like about attars: They are - although 100% scent (no ethanol dilution)- close to the skin, gentle and soft, yet long lasting. Anyhow: I want an attar was the idea and my starting point. Without any second thoughts about whether this could ever be sold or for what price. I do another simplification step again, optimizing the formula and getting rid of ingredients that are not really needed and do not add anything in particular. Then, when I feel I really want to offer this as a product and share it with the world: Then the production process starts. In Switzerland. I need quotes, production prices for the mixture and might have to fight with availability problems of some ingredients, I have to sit together with my design guru to come up with labels, need a packaging concept, have to come up with a price, an idea how to talk about it and in the end produce the scent, label bottles, pack them, ship them. And at the very end, I have to add another Teflon layer in order to deal with critics who bash it after having smelled it for 5 minutes. But there I am getting better, and my Teflon layer is pretty tight these days. This year, I gave myself a Christmas present: A new office bench. One that allows me to stand when working on the bench. It turned out to be a necessity because my shoulders do not handle sitting and writing on a keyboard anymore. Thus, I gifted myself with a new desk and before setting it up in my office, which is a room in my appartment, I had to clean the old desk from a paper and glass vial mess. The vials, you see them in the picture, totally non glamorous, are some of the trials done this year. Let's say: The best ones. The bad ones usually go to perfume heaven quickly. Every year, towards the end, I kind of filter them out, keeping only those that really work and that are worth following further. It is a nice way of looking back to what I have been working on during the year. Mostly, these days, I do not talk about what scents I am working on as I learned that it raises anticipation that I mostly cannot fulfill. Especially, as some scents that I am working on are not really with a clear goal to come up with a product. Often, it is l'art pour l'art. Just fun pieces that do not really fit into any marketing or business plan. Not that I have a written down business plan anyhow. These objects just sit there and wait for their moment. I will try the desk now and try to get used to standing while writing and doing Excel stuff. Exciting! Today’s picture: I have used it before, in a different context; but it fits today’s post and hence the elephant gets a second chance. 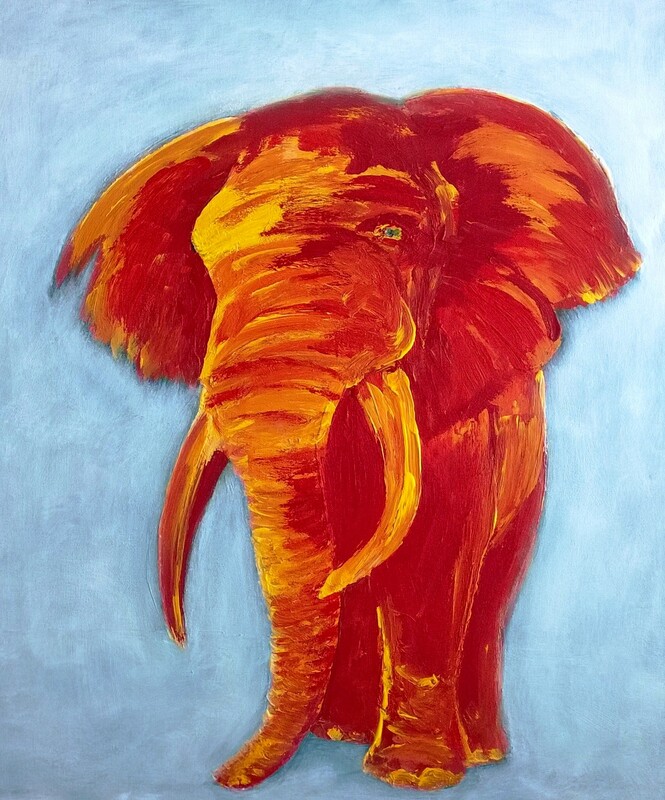 The picture, an elephant, acrylic on canvas (© tauer), is about 1.5 years old and depending on perspective it is a game, a joke, a piece of art. You decide. A couple of years ago when travelling in Russia with a perfumer friend and getting interviewed by many journalists we invented the pink elephant. The journalists would more or less always ask about the inspiration behind our creations, and as creator you are a person who gets easily bored -maybe that’s one of the driving forces to be creative- and hence we, perfumers, wondered whether it might not be easier to talk about the elephant, pink, sitting on our shoulder, whispering perfume formulas into our ears, instead of going through the highly theoretical process of inspiration. Because: At the very end, as creator, you do not know where all the ties come from that end up in a creation. Maybe you get the chance to know where it all started. Like me, yesterday, walking to the post office, shipping many discovery sets, in the heat of a Swiss end summer feast. It was hot and I walked home and I wanted a fresh scented water that goes with the heat. I was thinking: I have this lovely iris root, diluted in ethanol that feels like a perfume in itself -without any lasting power- I need to add mint, lime, irones to push up the metallic iris, amber gris, some clean notes – but means clean in perfumery – if you do not want it soapy. And so I walked home. And no: I did not mix anything. It sits in the head right now. And who knows what’s going to happen there. When getting up this morning, something else happened there: I started to think about why everybody wants to know about inspiration in perfumery. And hardly ever anyone asks about inspirations in visual art. It is less an issue there. I published a lot of drawings and paintings on Facebook, for instance, and never got the question “what inspired you?”. 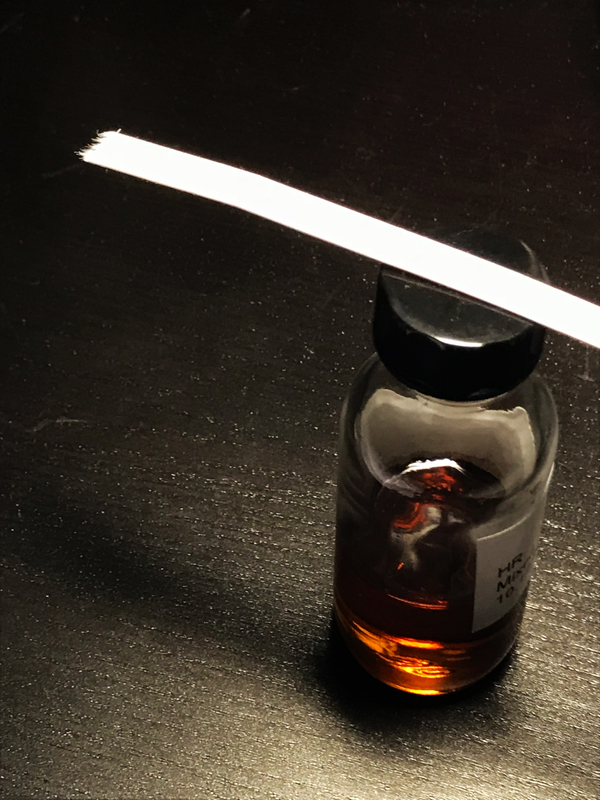 If I publish a picture of a flint glass vial telling folks that a newly created experimental perfume is in there: There comes the question about inspiration. Maybe because what comes out in this field, perfumery, is/got so shallow and banal that for decennials the products of this industry/art needed to be inflated and exaggerated with pictures, storylines and surroundings like packaging and gold and glitter, to communicate value, originality and art. And you know what: My inspiration does not matter. What matters is: I created it. Not a consortium. Not a perfumer sitting in a castle where he can work for somebody else and although they will tell him that he is free and that costs do not matter, he’s not free and in the end just wants his $$ and get out of the castle again. 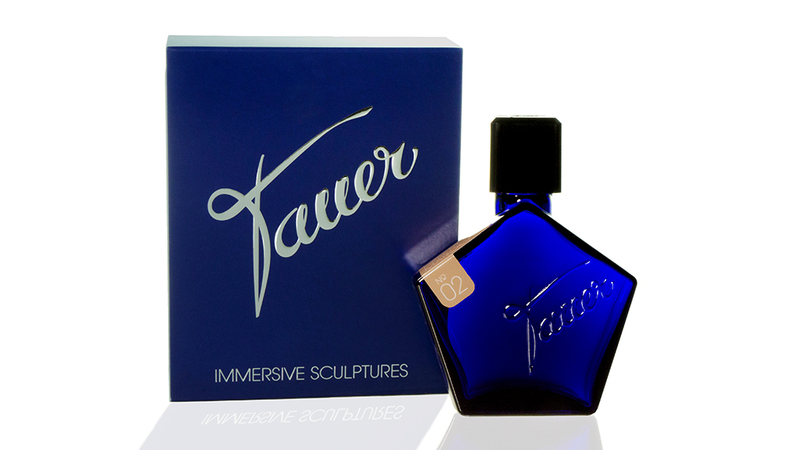 I have just sent out the latest Tauer Perfumes newsletter, as always with sweaty hands, worrying that I made this one big mistake and that I sent off a newsletter that goes totally wrong. Well, it can happen, and just the other day I got a newsletter from a company with a big, inconvenient mistake in there. So far, mine seems to be ok. The news in the newsletter: Rose chypree, rose vermeille and Carillon pour un ange are back in stock. Hurray! And also in the newsletter: For a limited time I offer them with free shipment (USA, CH, DE, FR, Austria... what's the short code for Austria?). And I offer a complimentary discovery set with purchase. And those clients who forget to order a discovery set: I send one following my guess what might fit. So, I am sort of having a hurray! moment. 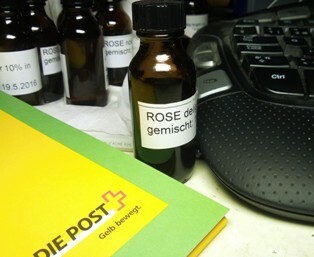 And: I just signed a contract with the Swiss Post, closing the "deal" with them, getting better shipment rates, allowing me to ship products that I could not so far, like soaps or other fragrant goodies, simply because of the shipment costs. (I am not talking about full bottles of alcohol based fragrances, though. There I am working on an alternative solution, again with the post, but this needs more thinking). Anyhow: If I am not wrong and got it right and all.... I shall be able to ship things like perfume in a soap, or super fragrant body oils which is super exciting for a couple of reasons. 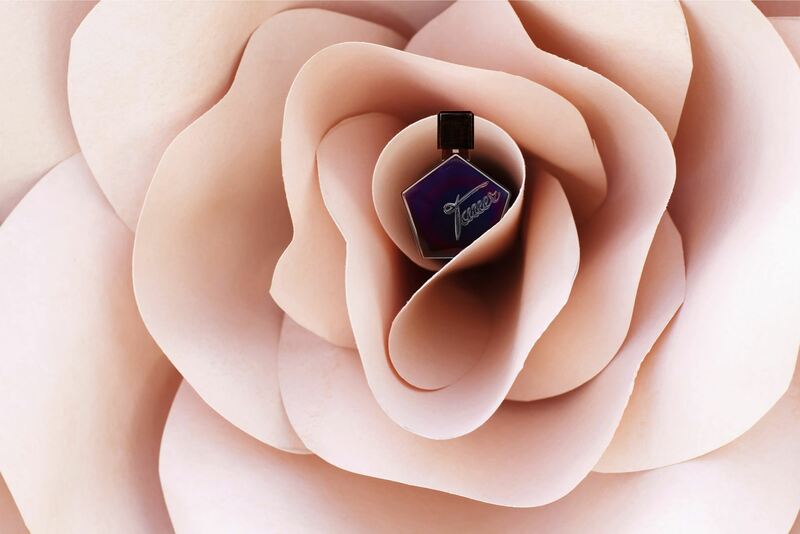 I find body oils totally exciting as contrary to water, a smooth , right oil base can be the perfect carrier for fragrances, in a peculiar way holding the perfume back and at the same time releasing it slowly, smoothly, over hours. Free of parabens, free of antioxidants, free of phtalates, free of any other stabilizers, no cheap oils that you usually find in body oils, such as sunflower, or refined coconut oil. What remains: There is actually not much choice but using jojoba oil which actually is not an oil, but rather a wax. It comes naturally with vitamins, such as vitamin E, it does not get rancid, is stable for years (hence no antioxidants needed) and it is a perfect moisturizer. It's handicap: it is not the cheapest of oils, especially if you insist on cold pressed high end quality. 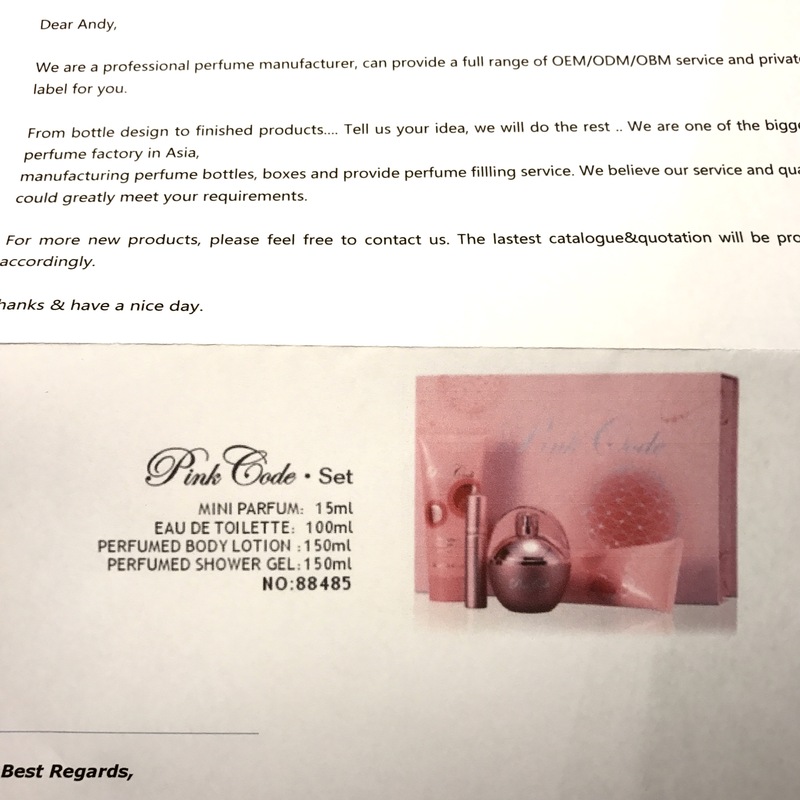 Anyhow, I like the idea of being able to ship small bottles of this and little boxes of that, where I can bring in my competence, which is creating fragrances, and at the same time go in a slightly different direction, serving my fragrance loving friends and customers better and directly. Right now, I have signed the contract with the post. 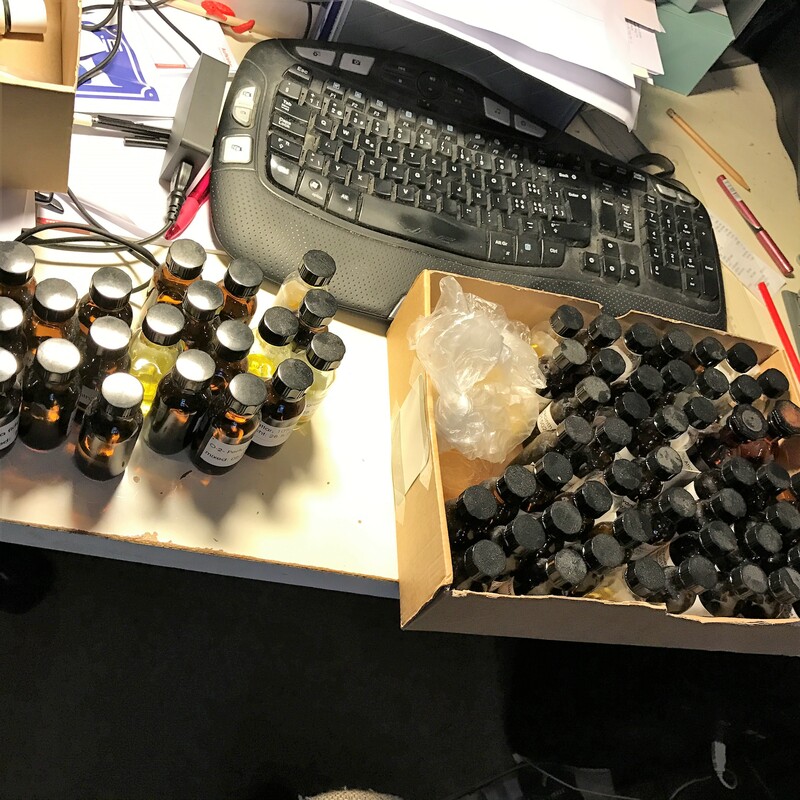 I wait for simple 50 ml size bottles to bottle a first batch, maybe I will do some more bottle experiments, testing the market, started thinking about a label, and about a price that I should ask for a perfumed body oil that runs in my fragrance excel as "rose delight". Pricing is always so difficult. And I need kind of a branded approach to it, ah well... we will see. Next step: Shampoo. Ha! Just kidding. Although... I have never come across a really good rose shampoo. 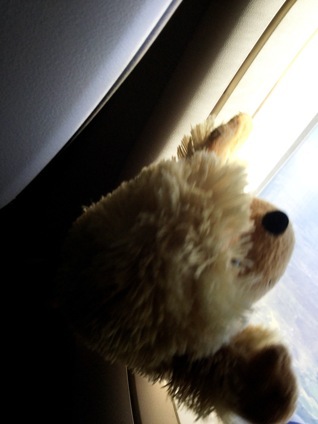 Today's picture is a quick photo that I took in the airplane while landing at Zurich airport 8 days ago. In the row in front sat a boy who could not wait to get down, got a bit nervous, too and the toy bear/mouse/hedgehog was jumping forth and back and together we watched the ground coming closer. We adults watch the ground and worry about the pile of paperwork waiting in the office or try to figure out what laws of physics allow this miracle to happen right now or we juggle sales figures in our head and think hard how to come up with the next big thing. I am pretty sure: The more we plan the next big thing the bigger the chances will be that that we will fail. Except -maybe- if we are a brand like Chanel with a gigantic marketing budget that allows them to render aqua banalis into a big blue success. Big things happen, and when creating perfumes, big things can rarely be planned, except you have the resources to really push things. And to create a big perfume: This cannot be planned, too. Like in all other creative fields: It needs a good dose of little boy play time. Not only, as at some point the lines need to be put together and even the most creative ideas need "reason, sense, intellect" to materialize. I feel that this is one of the most amazing facts in the industry : Even after 100 years of perfume creation not even the biggest brands can tell what will sell and what won't. Amazing. Of course, it is not only the perfume by itself: Other factors such as packaging, colors, names and and and play an important role, too. Think about all the launches of the last years and judge for yourself: How many of launched fragrances are still there? Not many. Fascinating. And, by the way: Totally ok. As a creator, I do not feel that everything that I create needs to stay for eternity. The act of creation and presenting it to the world might be enough. Finally, I think that I have to admit, that some of my best fragrances came out of the blue, without me thinking too much about them, playtime creations. In that sense: Happy playing everybody. I will do so later today. First: Serious adult business with shipments and logistics and all. 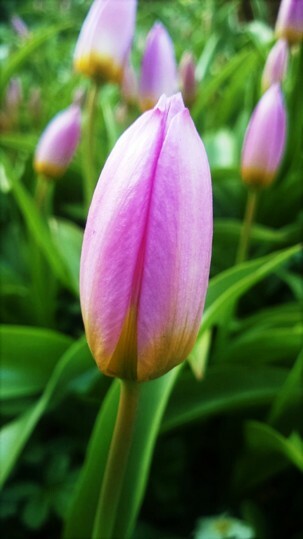 Today's picture: My pink little tulips are about to start blooming on the veranda/garden. It all started with a few bulbs and every year the patch of pink tulips gets larger. Nice! Like all early tulips they do not last long but I have different varieties of tulips in the garden, with varying time to bloom, thus there's always a tulip in bloom for the next couple of weeks. Nice! This week's stretch goal of Andy: Building stock, and not much else. Thus, no tulip perfume experiments. Although, to be honest, I was never particularly intrigued by the scent of tulips. Too delicate, too... wimpy. I rather go for hyacinths. Bold and spicy and so heavy that bees fall off the sky when passing by. But what I'll do (and did the past few days): I am wearing trials in the factory, when not filling bottles or samples. Trials that need a couple of hours on the skin before I can make my mind up. For a couple of days because mostly a trial fragrance smells different one day and the other. And there is nothing better than skin to test them. Having said that: Ironically I do not think that I have the perfect skin to test scents. May that's why most of my creations are pretty long lasting. Yesterday, I packed 240 kg perfume and because this is so super boring I took breaks. Usually, I do not do "lunch" breaks in the sense of : I usually do not eat much during the day, but instead of eating I paint or do other brain twisting things. Like thinking about perfume formulas. 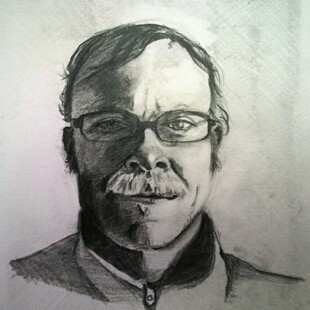 Yesterday, I tried another self portrait based on a selfie on the ipad. Yes, I know: No smile. (there was a time when people did not smile when their picture was taken. ...) When I showed it to my partner I got back: "This is a serious picture. Could end up on a bank note." -And I replied: " but then we have to hurry up as bank notes might disappear". Sometimes, I have clients paying cash, a couple of thousand Euros, on the dining table, and yes: They end up in the books, no cheating there. But I just love it when I am paid in real money, as real as it can get when we are talking about Euro. For two years now, every time we get some Euro that I will not spend by sourcing in Euro: I get rid of them as fast as I can. I do not trust the Euro. And here's the thing: I am not the only one. And because this is so, the Swiss Franc is strong and the Euro weak and at the very end of the day it is just paper. The older I get the less I worry about money. Funny. So I was working on the portrait, and thinking "green". I am still working on a fun experimental green scent that might end up as this year's fun splash scent (but not water based) on Tauerville. A client of mine asked me whether I will do another one in tauerville (the last one was the highly experimental water based vetiver & petitgrain). Maybe I am in for a tradition there. But I am undecided.